HARLINGEN — This month the Santa Ana National Wildlife Refuge near Alamo will return to the past when bicyclists once again are allowed to pedal away on the federal property. On Aug. 23, a pilot program to allow bike riders on the refuge will mark the first time for such use since the floods of 2010 shut down much of the facility and ended the use of bicycles. Unlike those years, this time there will be rules which are different, such as designated days to ride and each cyclist must check in at the visitor center to obtain a daily permit. The permit is free but the usual $5 vehicle entry fee will still be assessed. 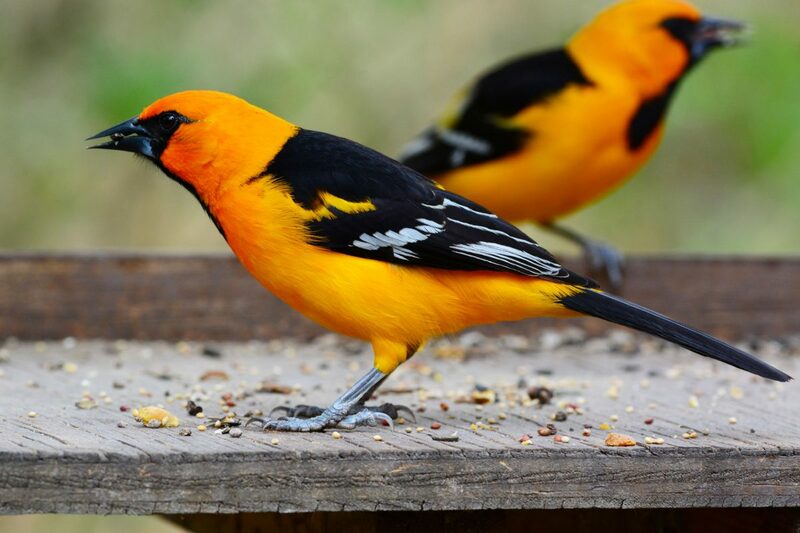 A pair of Altamira orioles come into a feeder near a photo blind at the Santa Ana National Wildlife Refuge near Alamo. Also, the entire trail system in the 2,088-acre refuge will not be available for bikes, which will have to remain on the paved roadways within the refuge. Bikes will be allowed from Aug. 23 through December from Thursday through Sunday. Gisela Chapa has been refuge manager at Santa Ana since 2014. She said recent usage studies showed just 30 percent of Santa Ana visitors were Valley residents, and she said the U.S. Fish and Wildlife Service became determined to broaden the refuge’s appeal. 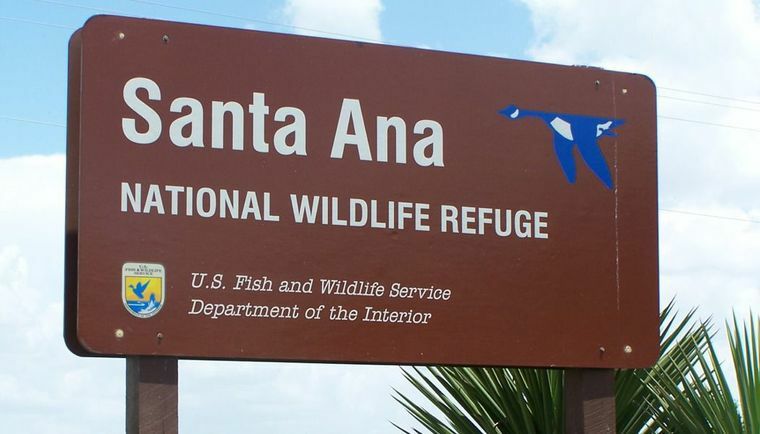 Santa Ana hosts 130,000 visitors a year on its walking trails and wetlands located directly on the Rio Grande. Chapa said the bicycle pilot program will end in December, before the busiest portion of the refuge’s year, which occurs every spring. “It’s to avoid the main activities here in the refuge like birding or interpretive tours, et cetera, so that we minimize the conflicts,” she said. Chapa said USFWS has studied the possibility of bicycles returning to the refuge, and weighed the benefits and potential drawbacks that may occur between bikes and traditional refuge pastimes of birding and nature walks. Bicycles are allowed at the Laguna Atascosa National Wildlife Refuge and are a popular draw there. Between now and Aug. 22, Santa Ana officials have scheduled three public meetings in McAllen, Weslaco and Pharr for people to learn about the new bicycle rules and to voice any concerns they may have about the changes. For Chapa, it’s all about reaching equilibrium between attracting more local visitors while maintaining some of the last wild space in the Rio Grande Valley. “Again, we’re trying to accommodate a diversity of uses on the refuge so a diverse audience can participate,” she said. “Not everybody is into birding, which has always been the bread-and-butter of Santa Ana because people all over the world know about birding down here in our area, so they naturally just come to the refuge as one of the hotspots. “We are really trying to strike a balance between serving the audiences that already know about refuges, and that come to refuges, and trying to bring bikes and new audiences so that they, too, can be stewards of the land,” Chapa said.